The practice has filled or closed their job listing. Please click "Send Application" to confirm. This is an agreement you (“you” or “User”) and Direct, Inc doing business as DirectDental.com (“we,” “us”, and “our”). It applies to all persons using this website (this “Site”), whether as an Employer or Provider, as such terms are defined in the next Paragraph, and where the context applies. You must read and agree to all the terms and conditions of this agreement in order to use this website (the “Site”) and our tools, applications, and services. To the extent permitted by law, we may amend this agreement without prior notice to you at any time by posting a revised version of the Site. Any revisions to this Agreement will take effect when posted on the Site unless otherwise stated. Your continued use of the Site or Services after the effective date of the amendments constitute your acceptance of such amended terms. THIS AGREEMENT CONTAINS AN ARBITRATE CLAUSE, WHICH REQUIRES THAT YOU AND WE RESOLVE ALL CLAIMS IN BINDING, INDIVIDUAL ARBITRATION INSTEAD OF GOING TO COURT. SEE THE “ARBITRATION OF DISPUTES”. Summary. 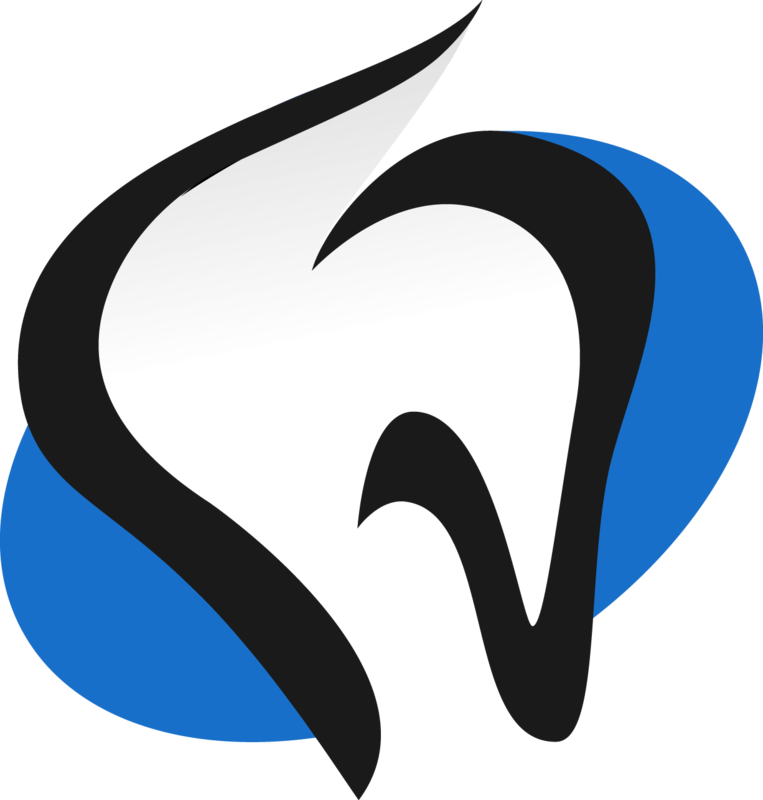 DirectDental.com provides an online marketplace (the “Platform”) for Employer to identify and employ Providers for dental services on a full-time or part-time basis (“Work Assignment(s)”) and on a permanent or temporary basis. The term “Employer” includes any dental practice seeking to hire a Provider, whether as an employee, contractor, consultant or otherwise. The term “Providers” includes dentists, dental specialists, residents, dental hygienists, dental assistants and office or administrative assistants to Practices, as an employee or contractor. Under the terms of this Agreement, we will make the Platform available to Employers and Providers, including hosting and maintain the Site, to facilitate the recruitment and hiring of Providers by Employers and to assist Providers is finding job prospects. Our services are limited to providing the Platform. Nothing herein shall constitute an agency relationship between us and any Employer or Provider, nor shall we be deemed to be an employer of any Provider. User must register with us by completing the account registration form on the Site. You must be of legal age (18 or over in most states) or be a legal entity in good standing in its jurisdiction. You must agree to all of the terms and conditions in this Agreement and agree to pay for all applicable charges. You must be a citizen or resident of the state or country listed in your account registration. You may only use our Site, Platform, and services only for professional purposes and not for any unlawful purposes. You must be permitted by all applicable laws to use this Site, Platform, and our services, and you may not violate the rights of any third parties by using this Site, Platform, and our services. To the extent applicable, you must possess all required licenses and permits and be in good standing with the laws of the applicable authority issuing such licenses and/or permits. All information in your account registration must be true and correct and not misleading. If any information changes, you must immediately update your account. We reserve the right, but have no obligation to, independently verify the information provided by you. If we determine that the information is complete, false or misleading in any respect, we may suspend or terminate your account. Without limitation, you agree we reserve the right to conduct background checks and/or conduct an investigation to confirm the completeness and accuracy of the information in your account registration. Despite our right to verify information, you agree that it is your responsibility to verify any information of any Provider or Employer, as applicable, when considering any opportunities to participate in a Work Assignment. Consent to Digital Signature. By registering for an account, you are deemed to have executed this Agreement electronically. You acknowledge you are can electronically receive, download, and print this Agreement. In connection with this Agreement, User may be entitled to receive certain records, such as contracts, notices, and communications, in writing. User gives us permission to provide these records to User electronically instead of in paper form. User consents to electronically receive and access, via email or our platform, all records and notices for the services provided to User under this Agreement that we would otherwise be required to provide to User in paper form. However, we reserve the right, in our sole discretion, to communicate with User via the U.S. Postal Service and other third-party mail services using the address under which User’s account is registered. User’s consent to receive records and notices electronically will remain in effect until User withdraws it. User may withdraw User’s consent to receive records and notices electronically at any time by contacting us at [email protected] and expressly informing us that User withdraws User’s consent to receive such records and notices electronically. In such event, we will revoke User’s account and cancel services, and User will no longer be able to use the account or our services. Any withdrawal of User’s consent to receive records and notices electronically will be effective only after Company has a reasonable period to process User’s request for withdrawal. User must notify Company of any change in User’s email address by updating User’s Account information. Subject to meeting all the conditions in Paragraph 2 above, Employers that have registered and paid all applicable fees (see Paragraph 7) may use the Platform to search for available Providers to fill bona fide Work Assignments. Upon receiving a search, the Platform will attempt to locate and display available potential Providers based on the search parameters provided by the Employer and the information provided by Providers. We make no representations, warranties or guarantees as to the search results, the availability of Providers, or the accuracy of the information provided by any Provider or other User. Subject to meeting all the conditions in Paragraph 2 above, Providers that have properly registered may use the Platform to assist in seeking potential Work Assignments. We make no representations, warranties or guarantees as to securing Work Assignments or the accuracy provided by any Employer or other User. An Employer may submit a request to a Provider in the search results for the possibility of one or more Work Assignments. The Employer is under no obligation to fill the Work Assignment with any Provider contacted through this Platform. Employer may cancel the Request at any time prior to a Provider’s acceptance of the Request. No implied or actual contractual relationship shall be deemed to exist between an Employer and Provider until such parties actually agree on the terms and conditions of a proposed Work Assignment. All Users must comply with all laws, regulations, licensing and other requirements (“Legal Requirements”) in connection with any Work Assignment. You agree that we are not responsible for any Legal Requirements. Without limitation, all Users shall comply with all applicable tax reporting, withholdings, and other obligations in connection with any Work Assignment or other arrangements between them (“Tax Obligations”). You agree that we are not responsible for any such Tax Obligations. No User may use this Site, Platform, or our services in any way that we consider to be harmful, offensive, unlawful, misleading or fraudulent, improper, or otherwise violate our rights or the rights of any other User or third party, including privacy rights. All Users acknowledge and agree that we are not a party to any Work Assignment. Our sole role is to provide this Platform on the terms and conditions herein. Accordingly, all Users agree that all payment arrangements, benefits and other terms and conditions between any Employer and Provider with respect to a Work Assignment or otherwise are between those parties only. Users shall comply with all terms and conditions agreed upon in any Work Assignment. Employer and Provider shall each be solely responsible for their respective officers, directors, employees and agents and their labor costs and expenses arising in connection therewith and for any and all claims, liabilities or damages or debts of any type whatsoever that may arise on account of their respective activities, or those of their respective employees or agents, in any Work Assignment. Employer shall determine whether Providers are independent contractors or employees and shall engage them accordingly. We disclaim any liability for such determination. Employer shall comply with all related laws and regulations, including applicable labor laws and regulations. Our sole responsibility is to provide the Platform services. We will not be involved in any dealings between Employer and Provider, including screening selection, contracting and performance of Work Assignments. User agree that we do not, in any way, supervise, direct, or control Provider or Provider’s work or set Provider’s work hours, work schedules, or location of work, or rates charged. We will not provide training or any equipment, labor, or materials needed for a Work Assignment. We make no representations or warranties concerning any User or Work Assignment, including, without limitation, those concerning the quality, safety, or legality of, any Work Assignment; the truth or accuracy, qualifications, background, or identities of Users; the ability of Providers to perform any duties in a Work Assignment; the ability of any Employer to pay a Provider for service rendered. Users agree to perform their own investigation of any Employer or Provider, as the case may be. It is our objective for Employers and Providers to have good relationships and to complete Work Assignments successfully. Accordingly, in the event of a dispute between an Employer and Provider, we reserve the right, but not the obligation, to attempt to resolve the dispute if a party requests us to do so. The foregoing shall be subject to our indemnification rights in Paragraph 13 below. User shall retain full and complete autonomy and discretion in the diagnosis and treatment of any dental disease, disorder or physical condition. User shall at all times remain free to exercise his or her own independent judgement, including whether and to whom referrals for specialty dental work are made. User acknowledges that this Agreement does not impede upon User’s professional judgement and that User remains free to use its professional judgement. Users shall not provide us with any patient or confidential information at any time. Users may communicate with each other only as necessary to determine whether they will enter into an agreement for a Work Assignment. Users agree that we have not been engaged by any User to perform any functions involving Protected Health Information (as defined under HIPAA), and we are not acting as a Business Associate of any Covered Entity in connection with the Site, Platform, or any other service. Each User represents, warrants and covenants that it has complied and shall comply with all laws, rules, regulations and regulatory guidelines, including without limitation all applicable state and federal privacy and data security laws, including without limitation the Health Insurance Portability and Accountability Act of 1996 and its implementing regulations (collectively, “HIPAA”), as amended from time to time. User represents, warrants and covenants that User has acted and shall continue to act in accordance with the relevant patient informed consents. User represents, warrants and covenants that it has implemented and shall maintain policies and administrative, physical and technological safeguards to remain in compliance with such laws, and that User has the right to provide any information that it provides or otherwise makes available hereunder. User shall promptly notify us of any development rendering untrue or misleading the representations, warranties or covenants included in this Section. We charge no fees for Providers to register for an account or for the services provided in the Platform. Employers shall pay us an access fee (the “Fee”) in exchange for access to the Platform, as set forth in Exhibit A. Employer may select any one of the plans listed in Exhibit A. By selecting an access plan through the Platform, Employer hereby agrees to pay the corresponding Fee and authorizes Company to automatically charge Employer’s credit or debit card on file for these Fees when due. Access fees are scheduled to auto-renew at the start of each billing cycle unless cancelled by the Employer. Employers may cancel access fees at any time through their Platform user profile or by contacting us at [email protected] The cancellation will be effective at the end of the monthly or annual renewal date of your chosen access plan. If you were on an access plan, membership, promotion, or price that is no longer offered, you will be ineligible to re-purchase that same plan at the same promotional price, terms and conditions. You will only be able to cancel your payment effective at the end of your current billing cycle. There are no refunds for fees including partially used access plan periods. If Employer fails to pay any fees owed to a Provider or any amounts due under this Agreement, we may suspend or close Employer’s account and revoke Employer’s access to the Platform. We have no obligation to refund any amounts paid by an Employer whose account is subsequently suspended or cancelled. Without limiting other available remedies, Employer must pay us upon demand for amounts owed under this Agreement, plus interests on the outstanding amount at the lesser of one and one-half percent (1.5%) per month or the maximum interest allowed by applicable law, plus attorneys’ fees and other costs of collection to the extent permitted by applicable law. To the extent permitted by applicable law, we may, in our discretion, make appropriate reports to credit reporting agencies, and cooperate with credit reporting agencies and law enforcement authorities in any resulting investigation or prosecution. In the event of cancellation, suspension or termination of an account, the User will not have access to User’s account or any other information in the Platform, including information about Work Assignments, Employers, or other Users. All fees paid to us under this Agreement is for access to the Platform only. Employers acknowledge that they are not dividing, sharing, splitting or allocating, either directly or indirectly, any fees for dental services with us. If any User improperly registers on the Platform as a staffing agency, employment agency or similar entity then they hereby agree to pay an “Agency” access fee of $4,500.00 per month. If the User is found to be misrepresenting a User profile for the purposes of performing as a staffing agency, employment agency or similar entity, then that User will be subject to paying the Agency access fee for each monthly period during which the profile was improperly used. Such User agrees that the damages for misrepresenting a profile are difficult to ascertain and agrees that the Agency fee is a reasonable estimate of actual losses suffered by us. We reserve the right to prohibit such User from future access to the Site and Website. In order to use the Platform, an Employer must make a credit or debit card available on the Platform. Employer hereby authorizes us to run credit or debit card authorizations on all such cards provided, to store credit or debit card details as Employer’s method of payment for our services, and to charge Employer’s card as the fees become due. By providing payment information through the Platform, Employer represents and warrants and covenants that Employer is legally authorized to provide such information to us and to make payments to us using the such payment information; and such payment does not violate the terms and conditions applicable to Employer’s use of the payment method, such as credit or debit card terms and conditions, or applicable law. If we receive any unauthorized chargebacks from Employer’s credit or debit card company, bank, or other payment method, Employer will reimburse us for any such chargeback and associated costs. Employer hereby authorizes us, when available, to charge Employer’s credit or debit card on file for such unauthorized chargeback and/or costs. To the extent a User provides Confidential information to another, the recipient will protect the secrecy of the discloser’s Confidential Information with the same degree of care as it uses to protect its own Confidential Information, but In no event with less than due care (and in accordance with any confidentiality agreement between such Users), and will: (i) not disclose or permit others to disclose another’s Confidential information to anyone without first obtaining the express written consent of the owner of the Confidential Information; (ii) not use or permit the use another’s Confidential Information, except as necessary for the performance of a Work Assignment; and (iii) limit access to another’s Confidential Information to its personnel who need to know such information for the performance of the Work Assignment. If Confidential Information is no longer needed for the performance of a Work Assignment, the party that received Confidential Information, will, at its expense, promptly destroy or return the disclosing party’s Confidential Information and any copies thereof and/or in accordance with any separate confidentiality agreements between users. No User may publish, or cause to be published, disseminate or disclose to any third party, another party’s Confidential Information, except as may be necessary for performance of a Work Assignment or as authorized by law. This Agreement will become effective upon User’s first visit to the Platform and will remain in effect for the duration of User’s use of this Platform. Unless both User registers for a specific term, either party may terminate this Agreement in its sole discretion, at any time, for any reason or no reason, upon written notice to the other. In the event User properly terminates this Agreement, User’s right to use the Platform is automatically revoked, and User’s Account will be closed. However, if User has any open requests to fill a Work Assignment when User terminates this Agreement, User will continue to be bound by this Agreement until all such requests have closed on the Platform, and User will continue to be obligated to pay any amounts accrued but unpaid as of the date of termination or as of the completion of any open requests, whichever is later. We have the right, but not the obligation, to suspend or revoke User’s access to the Platform and services if we believe that User has violated any terms and conditions of this Agreement. We may temporarily suspend, indefinitely suspend, or permanently revoke User’s access to the Platform and refuse to provide any or all Platform services to User if: (a) User violates any terms and conditions of this Agreement; (b) we suspects or learn that User has provided incomplete, false or misleading information to us; or (c) we believes, in our sole discretion, that User’s actions may cause legal liability for us or any other Users; or (d) may be contrary to the interests of the Platform, us or other Users; or (e) may involve illicit or illegal activity. Once User’s Account is suspended or closed, User must not continue to use the Platform under the same Account or a different Account or reregister under a new Account without our prior written consent. Without limiting our remedies, if any User engages in actions or activities that circumvent the Platform or otherwise improperly reduces the fees owed under this Agreement, User must pay us for all fees owed to us and reimburse us for all losses and costs (including any and all time of our employees) and reasonable expenses (including attorneys’ fees) related to investigating such breach and collecting such fees. In addition, violations of this Agreement may be prosecuted to the fullest extent of the law and may result in additional penalties and sanctions. When User’s account is closed for any reason, User will no longer have access to data, messages, files, and/or other information in the platform. IF WE DECIDE TO SUSPEND OR CLOSE A USER’S ACCOUNT, WE HAVE THE RIGHT TO: (A) NOTIFY OTHER USERS THAT HAVE ENTERED INTO WORK ASSIGNMENTS ARRANGEMENTS WITH USER TO INFORM THEM OF USER’S SUSPENDED OR CLOSED ACCOUNT STATUS. We own, or have the rights to use all, intellectual property, trademarks, tradenames, proprietary and all proprietary rights in this Site and the Platform (collectively, “Intellectual Property”). If you properly register an account and pay all applicable fees, we grant you a limited license to access and use the Platform for the purposes stated in this Agreement. You agree to only access and use this Platform or any related services only for such purposes. User agrees not to use the Platform for offering any goods or services other than those permitted by this Agreement and in accordance with its terms. User must not sell, reproduce, distribute, modify, display, publicly perform, prepare derivative works based on, repost, or otherwise use any content of the Platform in any way for any public or commercial purpose without our prior written consent. User must not use any content of the Platform on any other website or in a networked computer environment for any purpose except User’s own viewing. User must not frame or link to the Platform except as permitted in writing by Company. User must not attempt to reverse engineer, modify, adapt, translate, prepare derivative works from, decompile, attempt to interfere with the operation of, or otherwise attempt to derive source code from any part of the Platform. User will not access the Platform in order to build a similar service or application, or publish any performance, or any benchmark test or analysis relating to the Platform. Nothing in this Agreement confers any license under any of our Intellectual Property (or that of any third party), whether by estoppel, implication or otherwise. Warranty Disclaimer and Limitation of Liability. WE MAKE NO EXPRESS OR IMPLIED WARRANTIES OR REPRESENTATIONS WITH RESPECT TO ANY EMPLOYER(S), PROVIDER(S), DATA PROVIDED BY ANY USER, OR THIS PLATFORM. WE SPECIFICALLY DISCLAIMS ALL WARRANTIES OF ANY KIND, INCLUDING ALL IMPLIED WARRANTIES OF MERCHANTABILITY, NONINFRINGEMENT, COMPLIANCE WITH LAW, AND FITNESS FOR A PARTICULAR PURPOSE. PRACTICE SHALL MAKE NO REPRE SENTATION, GUARANTEE, OR WARRANTY CONCERNING PROVIDER(S) EXCEPT AS EXPRESSLY AUTHORIZED IN ADVANCE BY COMPANY IN WRITING. COMPANY WILL NOT BE LIABLE WITH RESPECT TO ANY SUBJECT MATTER OF THIS AGREEMENT OR UNDER ANY CONTRACT, NEGLIGENCE, STRICT LIABILITY OR OTHER LEGAL OR EQUITABLE THEORY FOR (I) ANY INCIDENTAL, SPECIAL, PUNITIVE, ECONOMIC OR CONSEQUENTIAL DAMAGES, OR (II) FOR ANY AMOUNT IN EXCESS OF THE AGGREGATE AMOUNT OF MONEY RECEIVED FROM THE USER IN THE TWELVE MONTHS PRIOR TO THE DATE ON WHICH THE CLAIM AROSE. SUCH AGGREGATE AMOUNT OF MONEY PAID IN SUCH TWELVE‐MONTH PERIOD SHALL BE THE USER’S SOLE AND EXCLUSIVE REMEDY. User shall indemnify, defend, and hold harmless us and our affiliates and respective directors, officers, employees, representatives, and agents (each an “Indemnified Party”) from any and all claims, damages, liabilities, costs, losses, and expenses (including, but not limited to, reasonable attorneys' fees and all related costs and expenses) arising from or relating to any claim, suit, proceeding, demand, or action brought by User or a third party against an Indemnified Party relating to: (a) the use of the Platform and its services by User or User’s agents, including any payment obligations incurred through use of the Platform; (b) any Work Assignment entered into between Users or their User agents; (c) any employment‐related claims, such as those relating to employment termination, employment discrimination, harassment, or retaliation; and any claims for unpaid wages or other compensation, overtime pay, sick leave, holiday or vacation pay, retirement benefits, worker's compensation benefits, unemployment benefits, or any other employee benefits; (d) failure to comply with this Agreement by User or User’s agents or any breach of any representation or warranty made by such User; (e) the negligence, willful misconduct, or fraud by User or User’s agents; and (f) defamation, libel, violation of privacy rights, unfair competition, or infringement of Intellectual Property Rights or allegations thereof to the extent caused by User or User’s agents. Under no circumstances shall the arbitrator be authorized to award damages, remedies or awards that conflict with this Agreement to award punitive damages, including but not limited to pursuant to federal or state statutes permitting multiple or punitive awards. You may opt out of this Agreement to Arbitrate. If you do so, neither you nor us can require the other to participate in an arbitration proceeding. To opt out, you must notify us in writing within 30 days of the date that you first register an account with us. The opt-out notice must state that you do not agree to the Agreement to Arbitrate and must include your name, address, phone number, your account to which the opt-out applies and a clear statement that You want to opt out of this Agreement To Arbitrate. You must sign the opt-out notice for it to be effective. This procedure is the only way you can opt out of the Agreement to Arbitrate. You must use this address to opt out: 1081 Camino Del Rio S. Suite 205, San Diego, CA 92108. This Arbitration section will survive the termination of your relationship with us. Notwithstanding anything herein to the contrary, any claims between you and us shall be asserted no later than one (1) year after such claim arises. This Agreement is governed by and construed in accordance with the laws of the State of California, irrespective of California’s choice-of-law principles. Except as set forth above with regard to the paragraph above entitled “Arbitration of Disputes”, all actions and proceedings arising in connection with this Agreement must be tried and litigated exclusively in the State and Federal courts located in the County of San Diego, State of California, which courts have personal jurisdiction and venue over each of the parties to this Agreement for the purpose of adjudicating all matters arising out of or related to this Agreement. Each party authorizes and accepts service of process sufficient for personal jurisdiction in any action against it as contemplated by this paragraph by registered or certified mail, return receipt requested, postage prepaid, to its address for the giving of notices set forth in this Agreement. The prevailing party(ies) in any litigation, arbitration, insolvency or other proceeding (“Proceeding”) relating to the enforcement or interpretation of this Agreement may recover from the unsuccessful party(ies) all costs, expenses, and attorney’s fees (including expert witness and other consultants’ fees and costs) relating to or arising out of (a) the Proceeding (whether or not the Proceeding proceeds to judgment), and (b) any post-judgment or post-award proceeding including, without limitation, one to enforce or collect any judgment or award resulting from the Proceeding. All such judgments and awards shall contain a specific provision for the recovery of all such subsequently incurred costs, expenses, and attorney’s fees. This Agreement and all documents specifically referred to and executed in connection with this Agreement: (a) contain the entire and final agreement of the parties to this Agreement with respect to the subject matter of this Agreement, and (b) supersede all negotiations, stipulations, understandings, agreements, representations and warranties, if any, with respect to such subject matter, which precede or accompany the execution of this Agreement. This Agreement may be modified only by a contract in writing executed by the party to this Agreement against whom enforcement of the modification is sought. If any part of this Agreement is held to be unlawful, void, or unenforceable, that part will be deemed severable and shall not affect the validity and enforceability of the remaining provisions. For Providers: There are no Fees for Providers to access the Platform and create a profile for job seeking and similar purposes as outlined in this agreement. “Modern” Plan for Employers is priced at $99 per month for unlimited access to the Platform for 30-days. The plan includes unlimited job postings for all job types for Work Assignments and unlimited candidate profile views for all position types on the Platform. Price of access plan is per location. Each location requires a separate access fee to be paid. Access plans are scheduled to automatically renew at the start of each billing cycle unless cancelled by the Users in accordance with the terms and conditions of this Agreement. Data Collection and Tracking. Through the information you provide by registering an account with us, we will be collecting Personal Information and Non-Identifying information, as well as tracking User behavior while utilizing the Site and Platform. Such data collection and tracking activities will assist us in improving the Site and Platform and to enhance the User’s experience. “Personal Information” includes information that personally identifies you, such as business or individual name, mailing and email addresses, telephone number, photographs, company or biographical data, and other information. We will not accept Personal Information from any person under the age of 18. If we become aware of any such Personal Information from a minor, we will delete it. “Non-Identifying Information” includes information that is general in nature and does not specifically identify any person or entity, such as zip codes, geographical location (such as cities and states), and demographic information. Specific Use of Information. We will use the information that we collect to maintain and operate Site and Platform, including the following: to process registration, complete transactions, possibly verify its accuracy and completeness; to communicate with Users about the Platform and services; marketing and promotional purposes; to tailor content to Users; and for other management purposes relating to the administration and operation of the Site and Platform. Cookies. We will also use “cookies” to collect information. A cookie is a small data file that will be stored on a User’s hard drive while the User is browsing our Site or using the Platform. The purpose of the cookies will be to improve the experience of Users and to make it easier to access and navigate the Platform. We may also employ other technologies to collect similar information for similar purposes or for security purposes. Information Sharing. This section describes the circumstances under which information may be shared with other Users and third parties. Except as described below, we will not share Personal Information. Other Users. Because the Platform is for potential Work Assignments, Personal Information may be reviewed by other Users for these purposes only. For example, Providers can review the Personal Information of Employers; Employers can review the Personal Information of Providers. However, Employers cannot review the Personal Information of other Employers, and Providers cannot review the Personal Information of other Providers. Users may only use Personal Information for Work Assignment purposes only, and for no other purpose. Users must maintain the confidentiality of all such information of other Users. Personal Information will not be available for review by the general public (i.e. non-registered users). Other Third Parties. We may share Personal Information and Non-Identifying Information with third parties for the purpose of delivering the Platform. For example, we may need to share Personal Information with service providers that we employ to provide specific services on our behalf. These may include site maintenance, database management, performance analytics, payment processing, advertising or marketing services. We may also share Personal Information to third parties to complete a business transaction related to the Platform. For example, we will process credit or debit card payments through a third-party credit card processor or bank. Legal Obligations. We will share information if we are required by law to do so. For example, we may be required to disclose information to government or law enforcement officials in connection with an investigation. We will also disclose information to government or law enforcement officials if we in good faith believe it is necessary or appropriate to protect our rights or a third party, or to protect any person or the public against risk of harm or unlawful activity. We may be required to disclose information to third parties in connection with a legal proceeding (such as a lawsuit), pursuant to a subpoena, court order, or other legal process. Opt-Out. We will give you an opportunity to select the level of communications you receive from us through your account. You may also opt-out of receiving marketing emails from us and third parties by following the instructions provided in the emails. However, we reserve the right to continue sending you certain type of communications relating to your account or the Platform services that we consider important for you to receive. Links. Our Site and Platform contains links to other third party websites. If you click on such other links, you will be directed to those websites over which we exercise no control. Those third party websites may place their own cookies or other files on your hard drive or use other technologies to obtain information from you. You should review the privacy policies of those websites. We disclaim any and all responsibility for the third party websites. Reviews and Testimonials. If you post a review within the Platform, the review will be visible only to other Users. However, we may request your permission to post testimonials you post about us or the Platform for public viewing on the Site or for other marketing purposes. Termination. If your account is terminated, deactivated, or suspended for any reason, we reserve the right to retain Personal Information and Non-Identifying Information for administrative or management purposes only. These purposes include maintaining historical data of Users for assessing the Platform or trends and auditing purposes. © Copyright 2018 by DirectDental. All Rights Reserved.